BRYAN EATON/Staff photo. 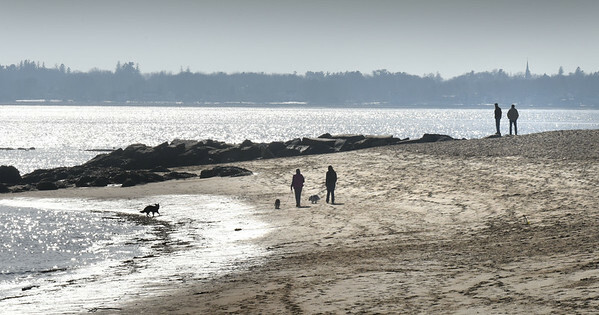 People and their dogs are silhouetted by a bright sun reflecting off the Merrimack River at Salisbury Beach State Reservation on Wednesday. The temperature for Thursday is to be in the 60's with nicer weather still for the weekend, though rain possible late Saturday afternoon and evening.